A variety of factors influence why mosquitoes are attracted to us, but much of it comes down to genetics. If you’ve ever spent time outdoors during the summer, you’ve seen that mosquitoes are not equal opportunity feasters. Some people can enjoy an evening in the backyard without a single bite, while others end up covered in itchy welts. So, what exactly makes some people more attractive to mosquitoes than others? Science reveals that a variety of factors make us more palatable to winged pests, from the amount of carbon dioxide emitted in our breath to the color of clothing we’re wearing (darker colors attract mosquitoes more than lighter ones). But in the end, much of the variation in mosquito preference comes down to two factors: our natural body odor and genetics. Mosquitoes feast on us for practical reasons. Only the females bite humans and they do it to derive proteins from our blood to produce their eggs. To help locate their prey, females are equipped with special odor receptors that detect carbon dioxide and the scents of humans. And that means people who are greater emitters of carbon dioxide — generally, if they’re overweight or pregnant — tend to be more attractive to mosquitoes. Our blood type may also help determine mosquito preference. One study found that mosquitoes prefer people with type O blood nearly twice as much as those with type A blood. 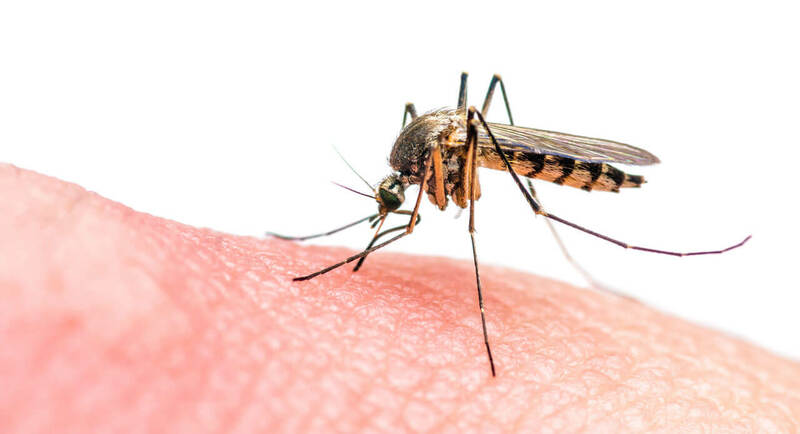 Regardless of blood type, the same study found that people who are “secretors” (emit a chemical on their skin that indicates their blood type) are more likely to have mosquitoes bite them. Other research has found that exercise — due to the lactic acid secreted in your sweat and increase in body temperature — may make you stand out more to the flying bloodsuckers. If you have the misfortune of being a mosquito magnet, ultimately, it may come down to your genetic makeup. A 2015 twins study published in the journal PLOS One found that DNA may account for nearly 67 percent of mosquito attraction — at similar levels that height and IQ are genetically linked. The study took two groups of female twins — one group of identical and the other fraternal — and had them stick their hands in Y-shaped plexiglas containers that allowed mosquitoes to detect their odor without being allowed to bite. Researchers found that the identical twins, who shared the same exact genes, had more similar levels of mosquito attraction compared to the fraternal twin group. Because earlier studies had concluded that identical twins share more similar body odors than non-identical twins, the researchers concluded that genes play a role in body odor and mosquito attraction.